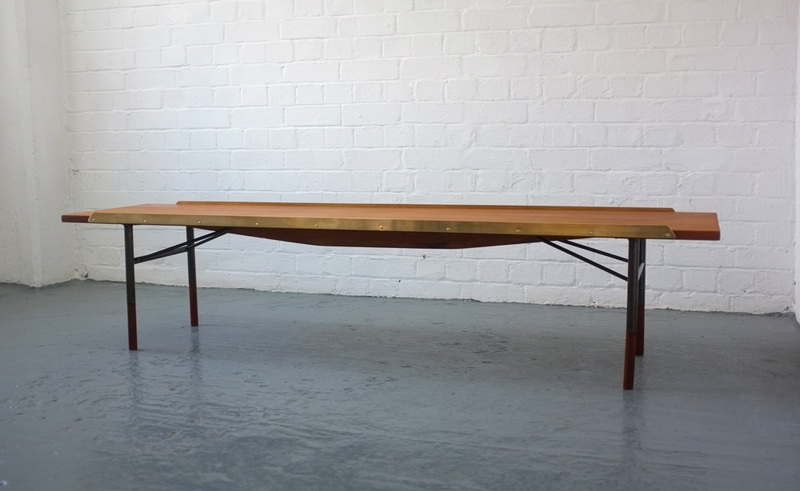 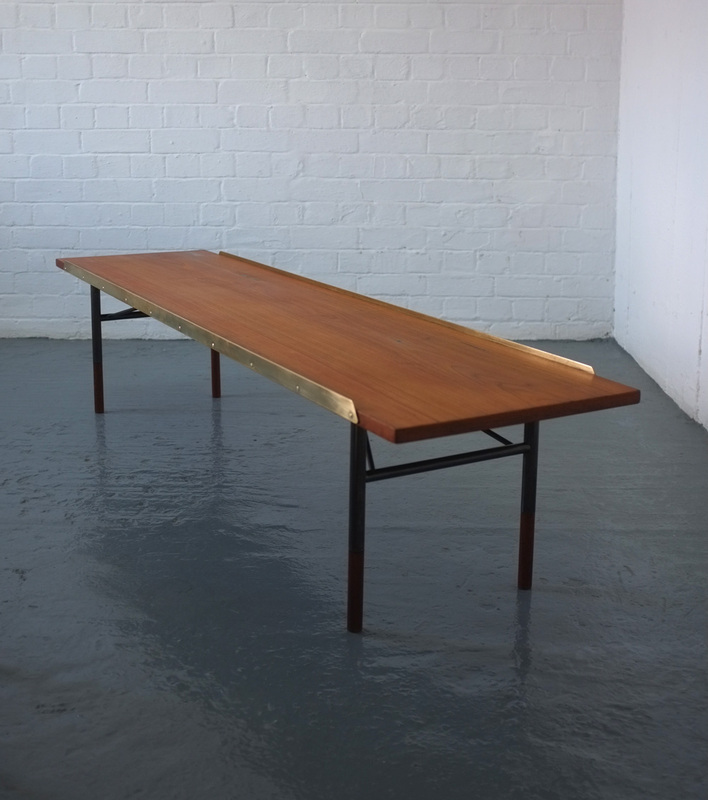 A very special B0-101 table/bench designed in 1953 by Finn Juhl for Bovrike, Denmark. 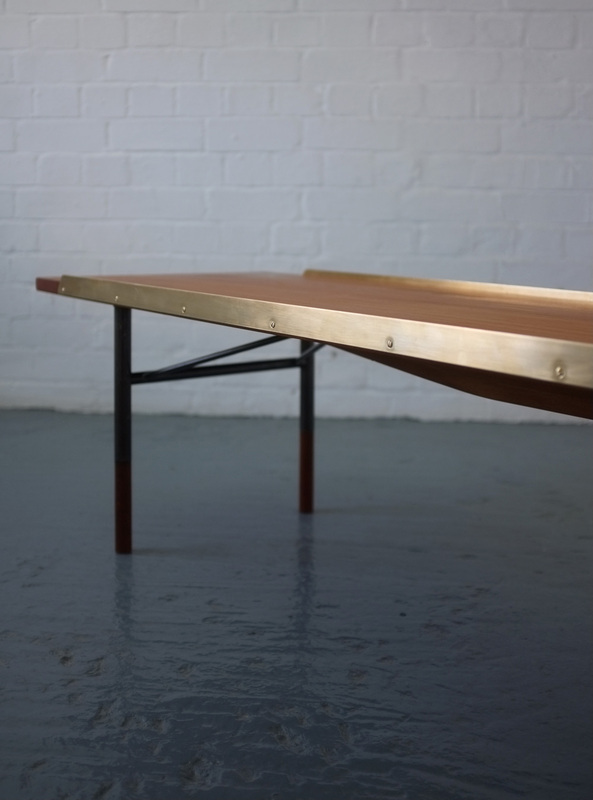 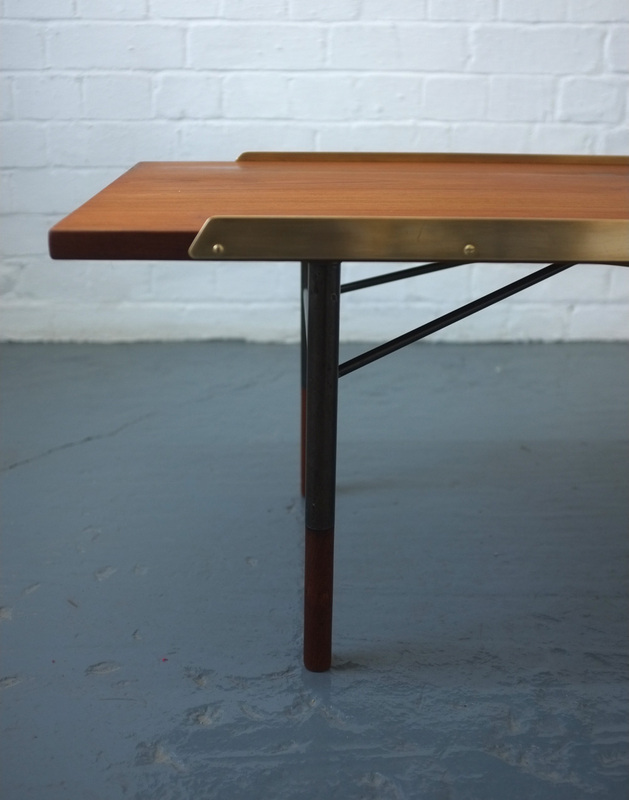 Teak top with brass side panels, burnished metal legs and teak feet. 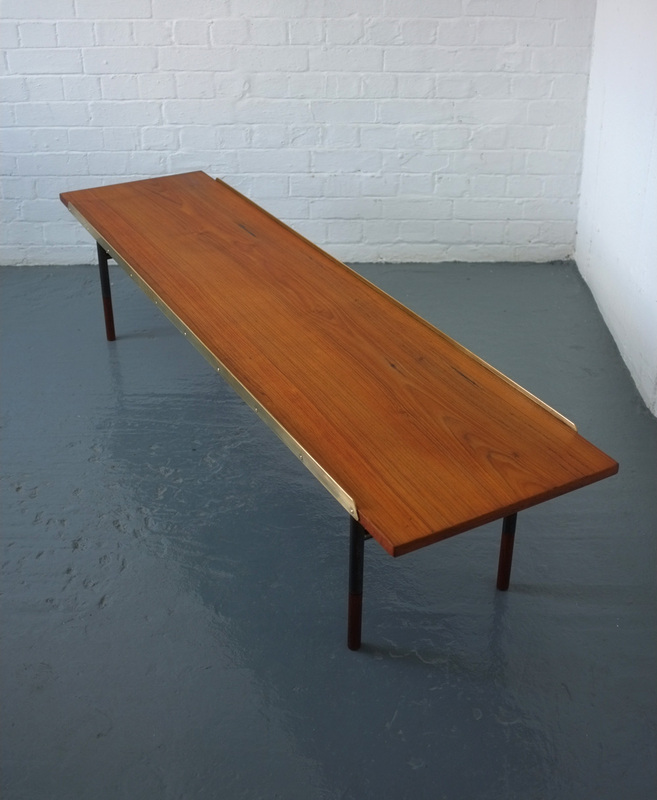 The top has been re-oiled - please ask for full condition report.